A night of pure metal magic! Why See Deafheaven and Baroness? 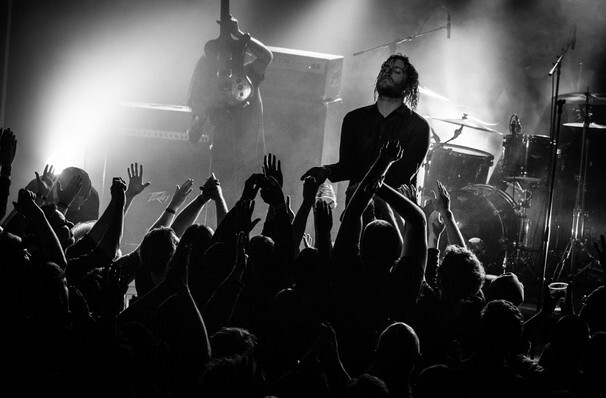 Metal legends Deafheaven and Baroness team up this year for a joint tour of epic proportions! With Deafheaven having released their fourth album last summer, earning a Grammy nomination in the process, the two sets of rockers hit the road with their plethora of hits in tow! After being victims of a bus crash in 2012, and taking some much-needed time-out, Baroness are on the comeback. Having released their fourth album back in 2015, the four-piece are rumoured to be working on some brand new work. 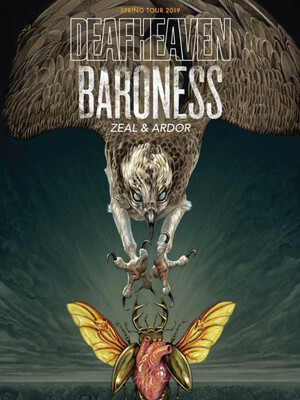 Although it is still not confirmed, keep your ears peeled for Baroness' latest musical offering! Sound good to you? Share this page on social media and let your friends know about Deafheaven and Baroness at The Grand At The Complex. Please note: The term The Grand At The Complex and/or Deafheaven and Baroness as well as all associated graphics, logos, and/or other trademarks, tradenames or copyrights are the property of the The Grand At The Complex and/or Deafheaven and Baroness and are used herein for factual descriptive purposes only. We are in no way associated with or authorized by the The Grand At The Complex and/or Deafheaven and Baroness and neither that entity nor any of its affiliates have licensed or endorsed us to sell tickets, goods and or services in conjunction with their events.